I would venture to warn against too great intimacy with artists, as it is very seductive and a little dangerous. No doubt Queen Victoria’s suspicion of the pitfalls of liaisons with artistic types was influenced by early mentorship under her adviser Lord Melbourne—whose wife, Lady Caroline Lamb, had run away with Lord Byron twenty-five years earlier—and familiarity with Lady Caroline’s comment about Byron: “mad, bad and dangerous to know”. The extended television drama Victoria, a co-production between ITV in the UK and PBS in the US, spans, over two seasons, the nine-year period from the eighteen-year-old Queen Victoria’s accession to the throne upon the death of her uncle, William IV, in 1837, up to the resignation of Sir Robert Peel as Prime Minister in 1846. The engine of the show, the thing that keeps it from being just another period soap opera, is Jenna Coleman’s inexhaustible, tremendously engaging portrayal of Victoria, a performance whose easy charm can obscure the fact that it’s as subtle and witty as anything Claire Foy does, as Elizabeth II, in The Crown. Hughes’s portrayal of Prince Albert, according to Meredith Blake of the Los Angeles Times, is “a German Mr Darcy, aloof and deadly serious with a mop of emo rocker hair”. Joe Dolce’s TV reviews appear in every Quadrant. Victoria evolved from the many stage, film and television versions that preceded it—a dozen or so since 1937. The Licensing Act of 1737 forbade the portrayal of a British sovereign on stage until a hundred years after accession, and this ban was firmly enforced by the most senior officer of the Royal Household, Lord Chamberlain, the Earl of Cromer. The royal residences and grounds used to be under the control of four different officials—the lord chamberlain, the lord steward, the master of the horse, and the commissioners of woods and forests. Baron Stockmar [the German royal physician and statesman], on the confusion fostered by this state of things, said: “The lord steward finds the fuel and lays the fire: the lord chamberlain lights it. The lord chamberlain provides the lamps; the lord steward must clean, trim and light them. The inside cleaning of windows belongs to the lord chamberlain’s department, but the outer parts must be attended to by the office of woods and forests, so that windows remain dirty unless the two departments can come to an understanding.” It took Prince Albert four years of firmness and diplomacy before, in 1845, he was able to bring the queen’s home under the efficient control of a master of the household. Laurence Housman wrote a play in 1934, Victoria Regina, with Pamela Stanley as the Queen, but it was not officially allowed a premiere in London until the centenary of the accession in 1937. It subsequently had a successful Broadway run, with Helen Hayes in the lead role, and Vincent Price as Prince Albert, and the US success inspired King Edward VIII to commission Herbert Wilcox to produce a black-and-white film, Victoria the Great, which was so popular, it resulted in an immediate colour sequel, Sixty Glorious Years, released in 1938. Both films starred Anna Neagle as Queen Victoria. There have been many versions of the Victoria and Albert story: Happy and Glorious, a 1952 BBC television series which aired live, but was not recorded; Victoria in Dover, a 1954 Austrian historical romantic comedy film, in which Lord Melbourne arranges the marriage; The Young Victoria, a 1963 Australian television film, based on the play Victoria Regina, of which the Sydney Morning Herald commented: “these excerpts did not succeed in amounting to a play … it was all rather like a musical comedy, without the music”; Victoria Regina, a 1964 four-part Granada mini-series, also based on the 1934 Housman play; and Victoria & Albert, a 2001 British-American historical television drama, starring Victoria Hamilton as the Queen, Jonathan Firth as Prince Albert and Peter Ustinov as William IV. The closest prototype for the present series was the 2009 film The Young Victoria, written by Julian Fellowes and starring Emily Blunt as Victoria and Rupert Friend as Albert. The idea for it originally came from Sarah Ferguson, when she married the great-great-­great-grandson of Albert and Victoria, Prince Andrew, the Duke of York. 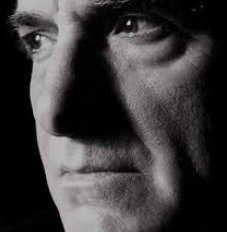 She approached the producer Graham King, who brought in Martin Scorsese to co-produce, as Scorsese, oddly enough, had an inexhaustible passion for, and knowledge of, British history. King wanted to make something removed from a typical BBC costume drama, and was more interested in creating “a period film for an MTV audience”. Princess Beatrice, the Yorks’ twenty-one-year-old eldest daughter, appeared in a small cameo as a lady-in-waiting. This was the first time a member of the royal family had ever been cast in a non-documentary. In both The Young Victoria and the Victoria series, Sir John Conroy is the overly ­strict financial comptroller and private secretary to the young Queen’s mother, the Duchess of Kent, who are both endeavouring to keep control of Victoria according to the elaborate set of rules she had been raised with since the age of five, known as the Kensington System. This private education was intended to isolate her from other children and, more significantly, other influential relatives of the House of Hanover, making her totally reliant on her mother and Conroy. In the first eight-part series of Victoria, Princess Alexandrina Victoria of Kent, at the age of eighteen, ascends to the throne upon the death of her uncle, William IV. She defies her mother, Victoria, Duchess of Kent, played by Catherine Fleming, and Sir John Conroy, played by Paul Rhys, by refusing their regency and picking her own regnal name, Victoria, over Elizabeth, Conroy’s preference. There is a scandal involving her mother’s lady-in-waiting, Lady Flora Hastings, played by Alice Orr-Ewing, creating a public backlash against the young Queen, who is guided through the crisis by the Whig Prime Minister, Lord Melbourne, portrayed by Rufus Sewell, who becomes her closest adviser. After losing the necessary mandate in parliament, Lord Melbourne resigns the prime ministership to the Tory leader, Sir Robert Peel, played by Nigel Lindsay, who only agrees to accept if Victoria replaces some of her ladies-in-waiting with Tory women, for political balance—which she refuses to do, resulting in the Bedchamber Crisis, which in turn forces Lord Melbourne, against his better judgment, to stay on as Prime Minister. The provision of at least one train a day each way at a speed of not less than 12 miles an hour including stops, which were to be made at all stations, and of carriages protected from the weather and provided with seats; for all which luxuries not more than a penny a mile might be charged. While Victoria is riding in a phaeton near Buckingham Palace, an assassin, Edward Oxford, fires two pistols at her, but police determine that his guns are loaded with blanks. He is declared insane and sent to an asylum. Victoria gives birth to her first child, a daughter, also named Victoria. The second series begins with Victoria recovering from a difficult childbirth. Albert shields her from the news of the Anglo-Afghan War and the annihilation of 4000 British troops. Albert visits the Royal Society to discuss the innovations of Charles Babbage and Ada Lovelace, daughter of Lord Byron, and their proposed mechanical computer, the Analytical Engine. Recalling Byron’s tryst with Lord Melbourne’s wife, Victoria fears an affair brewing between Albert and Lovelace, but Lord Melbourne reassures her of Albert’s devotion. Lord Melbourne becomes gravely ill, saying a final farewell to Victoria. Compounding her grief, her beloved dachshund, Dash, dies. Victoria becomes pregnant again, giving birth to a son. Albert’s father passes away and Leopold reveals to Albert that he is really his biological father, from a brief affair with Albert’s mother. Peel advises Victoria that a proposed marriage alliance between France and Spain could prove dangerous to Britain. She sails to France to meet with the King of the French, Louis Philippe I, played by Bruno Wolkowitch, to try to dissuade him from marrying his son into the Spanish royal family. The King agrees to stop the marriage but, after Victoria returns to England, he breaks his word. Victoria becomes pregnant again, giving birth to another daughter. The potato blight creates a famine that devastates Ireland, killing over a million people. A further assassination attempt is made on Victoria; once again, the assassin fires blanks. Peel’s secretary, Edward Drummond, played by Leo Suter, and Lord Alfred Paget, played by Jordan Waller, begin to explore a homosexual attraction to each other. Victoria is at heart a love story, or collection of love stories, and while Ms Goodwin occasionally bogs down in history, she can always get back on solid ground with romance … she introduces, as a counterpoint to Victoria and Albert, an unspoken attraction between a courtier and a civil servant … that’s an unusually complex and moving depiction of a gay relationship. Peel, following his conscience, goes against the Tory party, supporting repeal of the trade-restrictive Corn Laws, which passes, but proves the end of his career. A man attempts to assassinate Peel, but his secretary, Drummond, steps between them and is killed. Peel resigns as Prime Minister. In a similar tradition to Downton Abbey, a light-hearted and sentimental Christmas special is included as a ninth episode. Albert suffers a skating accident and is nearly drowned. The series ends with the resigned engagement of Paget, still recovering from the death of Drummond. 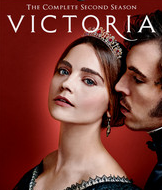 The New York Times compared Victoria favourably with The Crown, but although both series are a visual pleasure, the primary difference between the two is the number of factual inaccuracies in Victoria. The queen’s conduct towards Lady Flora was kind and sisterly from the beginning to the end of this painful business; but the scandal was made public through some indignant letters which the marchioness of Hastings addressed to Lord Melbourne praying for the punishment of her daughter’s traducers, and the general opinion was that Lady Flora had been grossly treated at the instigation of some private court enemies. When Victoria travels to France to meet with Louis Philippe, she unrealistically disembarks from the ship without a single bodyguard or soldier to protect her, despite being warned of post­-revolutionary unrest in Paris. The ninth episode of the second series, the Christmas special, feels tacked on to an already completed story and, although entertaining, is superficial. The description of the murder of Peel’s private secretary, Drummond, who threw himself in front of an assassin’s bullet, is incorrect. Drummond was actually shot in the back, in a case of wrongful identity, three years before the Corn Laws were repealed, and he was twenty-four years older than Lord Alfred Paget. Drummond was killed before Paget ever held a position in Victoria’s court, and Paget only became equerry to the Queen after the murder. The two men did not have a relationship. Both are portrayed as closet homosexuals but, in fact, Paget, a British soldier and Liberal politician, later married Cecilia Wyndham, a wealthy heiress, and they had fourteen children. Victoria’s chief cook and pastry chef, Charles Elmé Francatelli, played by Ferdinand Kingsley, did not fall in love with the head dresser, Marianne Skerrett, played by Nell Hudson (and her real name was not Nancy, and she was twelve years his senior). After Francatelli left the palace the first time, he never returned. One of his granddaughters was a survivor of the Titanic. Tim Goodman, of the Hollywood Reporter said: “this is precisely how dramatic stories get dramatic, and if no license is given, you might as well read a history book”. Licence is one thing; poor research is quite another. The most significant inaccuracy between the film version of The Young Victoria and the series Victoria occurs during Edward Oxford’s assassination attempt. In the film version, Albert throws himself in front of the Queen, taking the bullet meant for her. He is badly wounded and carried inside where he is tended by doctors. In the series—the historically correct version—the assassin was found to have been shooting blanks and, although Albert did courageously place his body in front of the Queen to shield her, no one was shot. When Queen Elizabeth saw The Young Victoria, she commented on its good points but was unhappy about the distortion of the assassination. She also disliked the alterations to the British officers’ uniforms, which she felt made them look “too German”. In June, the queen took her first railway journey, travelling from Windsor to Paddington on the Great Western line. The master of the horse, whose business it was to provide for the queen’s ordinary journeys by road, was much put out by this innovation. He marched into the station several hours before the start to inspect the engine, as he would have examined a steed; but greater merriment was occasioned by the queen’s coachman, who insisted that, as a matter of form, he ought to make-believe to drive the engine. After some dispute, he was told that he might climb on to the pilot engine which was to precede the royal train; but his scarlet livery, white gloves and wig suffered so much from soot and sparks that he made no more fuss about his rights in after trips. They boarded the royal saloon carriage, specially designed like a grand home. It had a padded silk ceiling, blue velvet sofas, matching silk curtains, fringed lampshades, fine mahogany wooden tables and thick carpets. The train was pulled by a locomotive engine powered by coal and steam … the Queen worried that the normal speed of 43 miles per hour would affect her health, so she insisted that her trains never went more than 30 miles per hour. Later a signal was fitted to the roof of the royal saloon in case the Queen wanted to tell the train driver to slow down. King John has played his part and ceased to reign. Conroy eventually settled near Berkshire and became a farmer, winning prizes for pig breeding. Twelve years later, he died heavily in debt. Victoria and Albert had nine children, each marrying into European noble and royal families, and she acquired an endearing nickname: the “Grandmother of Europe”. There will be at least one further season of Victoria, with Jenna Coleman and Tom Hughes returning as Victoria and Albert. The third series, covering 1848 onward, will look at the uncertainty of the monarchy, due to revolutionary fervour across Europe. Prime Minister John Russell will be portrayed by John Sessions, and a new character will be introduced: Victoria’s enigmatic half-sister, Princess Feodora of Leiningen, played by Kate Fleetwood. Feodora was one of Victoria’s only two childhood playmates; the other was Conroy’s daughter Victoire. My dearest, dear Albert sat on a footstool by my side, and his excessive love and affection gave me feelings of heavenly love and happiness I never could have hoped to have felt before! He clasped me in his arms and we kissed each other again and again! His beauty … his sweetness and gentleness—really how can I ever be thankful enough to have such a husband! To be called names of tenderness, I have never yet heard used to me before, was bliss beyond belief! Oh! This was the happiest day of my life! May God help me to do my duty as I ought and be worthy of such blessings! You need something to be inaccurate to be worth watching? The real world is far madder, wilder and unbelievable than anything that can be made up. Being accurate allows you to show things that no fiction writer could get away with. And if the writers aren’t interested in accuracy, then they should go the whole hog and set the thing in a fantasy world. Certainly hasn’t hurt Game of Thrones. My point was that it was written for entertainment rather than education. I do watch some fairly heavy duty documentaries and I have written ‘academic’ papers that are heavy on facts and little on fun. I write history for an American magazine, so facts are never tampered with, but adding some ‘human’ anecdotes can make the magazine worth purchasing.